PITTSBURGH & CHICAGO--(BUSINESS WIRE)--What’s that flying in the sky? It’s not a bird or a plane … it’s Super Hotdogger! 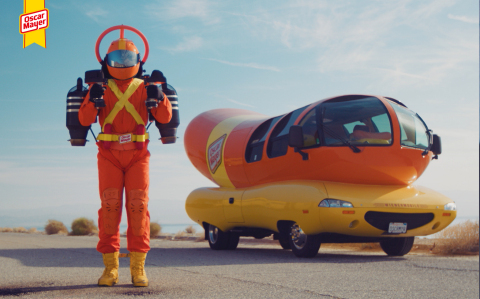 To kick off the first week of summer, Oscar Mayer is introducing a new hero to the iconic WienerFleet with epic hot dog delivery in mind. This latest addition, Super Hotdogger, is the world’s first-ever JetPack-powered, high-flying hot dog hero who stops at nothing to deliver better Oscar Mayer Hot Dogs to the hands of hot dog lovers across America. Custom designed with unique Wienermobile-inspired features, Super Hotdogger defies gravity, going where the beloved icon on wheels cannot. Super Hotdogger’s state-of-the-art JetPack is so rare that more people have walked on the moon than have flown with this technology. 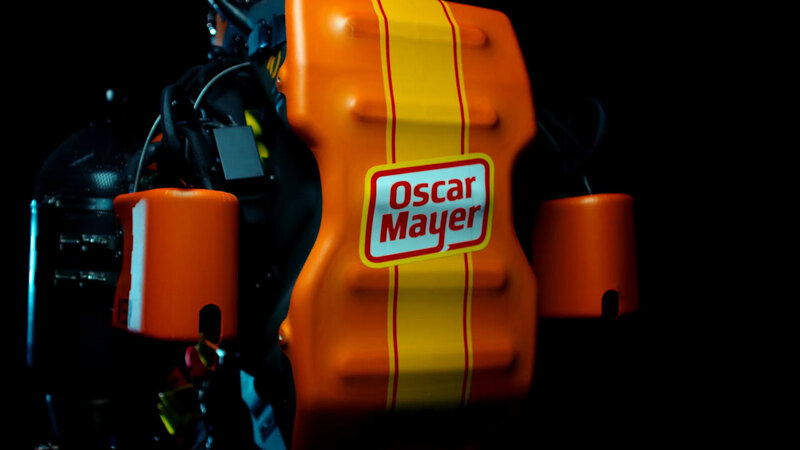 To ensure smooth Oscar Mayer Hot Dog delivery, Super Hotdogger sports a belt equipped with aerodynamic hot dog carrying cases and a uniquely designed helmet that zeroes in on hungry targets on the ground. Last summer, Oscar Mayer proved its commitment to better hot dogs by removing all added nitrates and nitrites (except those naturally occurring in celery juice), by-products and artificial preservatives from every single Oscar Mayer Hot Dog. Now, the brand is literally elevating its mission to get a better hot dog in every hand with the launch of Super Hotdogger. The flying hero is dedicated to delivering new Oscar Mayer Pork and Chicken Hot Dog offerings made with meat that is 100 percent ground pork and 100 percent ground chicken. Weather permitting, Super Hotdogger will take his first public flight at the Seaport District between Pier 16 and 17 today at noon and 3 p.m. EDT where fans can catch the sights and sounds of Super Hotdogger, enjoy complimentary Oscar Mayer Hot Dogs and take a tour of the iconic Wienermobile. For those who can’t join the fun in New York City, Oscar Mayer is offering up a year’s supply of free hot dogs, delivered by the Wienermobile, for lucky fans who share a photo of how they top their Oscar Mayer Hot Dog. Visit the brand’s Twitter (@OscarMayer) or Instagram (@OscarMayer) channels for official contest rules. To give fans even more ways to enjoy hot dogs this summer, the brand is partnering with Food Network Star, co-host of The Kitchen and Sandwich King, Jeff Mauro (@JeffMauro) to create delectable Oscar Mayer Hot Dog recipes inspired by Super Hotdogger. 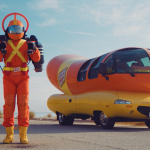 Super Hotdogger joins the existing fleet of iconic vehicles including the Wienermobile, WienerRover, WienerMini, WienerCycle and WienerDrone. For more on Super Hotdogger, visit SuperHotdogger.com. For product information, visit OscarMayer.com. 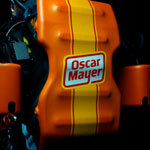 Oscar Mayer is kicking off the first official week of summer by introducing Super Hotdogger: a futuristic JetPack-powered member of the WienerFleet who is going to new heights to deliver on the brand’s mission of getting a better Oscar Mayer Hot Dog in every hand.